Legendary founder of Vanguard, John Bogle, once said, “The grim irony of investing is that we investors as a group not only don't get what we pay for, we get precisely what we don't pay for.” The only investing guarantee I can offer is this: everything held equal, the less you pay in fees, the better your returns.Thankfully, we live in the 21st century, and there’s never been a better time to be a small investor. Fees don’t have to stop you from making wise and lucrative investments. And now, in today's mobile world, investing is becoming easier and cheaper than ever. These free investing apps let you trade almost anything. Some investing apps specialize in ETFs (Exchange Traded Funds), others might only trade stocks, and some are a full-service brokerage. The Money Pouch wealth management app will help you with its automated ETFs trading at a lowest fee you will encounter. The philosophy of The Money Pouch is that investing should not be expensive, so it provides investment management at a fraction of the price that traditional financial advisers and fund managers’ charge. Its computer algorithms and robo advisor never sleep and will trade on your behalf while you can focus on more important things in your life. It automated trading system will select a strategy based on your risk profile, without the interference of human emotions and bias. 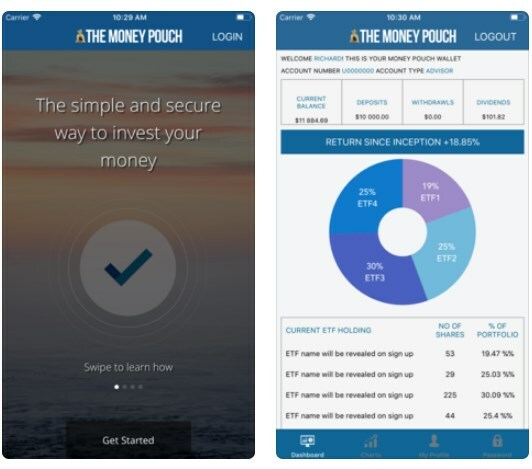 The Money Pouch app is inspired by Buffet and Bogle’s work, investing in low-cost ETFs and rebalancing them often enough to keep the risk return more constant. This tactic offers your portfolio more protection for when a stock market fall by reallocating your investment portfolio to cash or bonds. 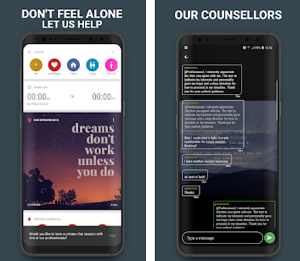 With this app there is no lock-ins, so you can cash out your portfolio any time you want. You can also top up your investment account at any given time. The Money Pouch offers lower fees, automatic dividend investing, lower taxes, liquid strategy and it will maximize the risk/reward ratio. Also, The Money Pouch app invests in real companies like Apple, Google and Microsoft, which means it’s not some reckless gamble on Forex or commodity robots! 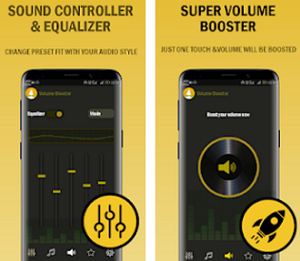 If you want to try this app, you can find and download it for completely free at the Google Play store or the iTune’s App Store.